Description Anna Snow and Caroline Chatwin enjoy the day at the Old Folks Dinner at Jensen. During the celebration Caroline celebrated her 89th birthday. 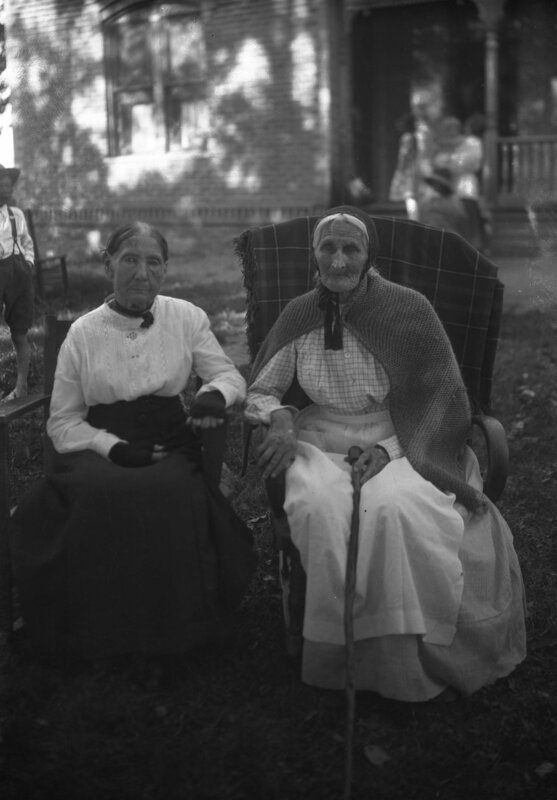 Anna Snow died on July 18, 1928 at 100 years old. Caroline Chatwin died on May 22, 1924.